Over 70 people have been killed in the Donetsk Region, and 116 others have been wounded over the last three days of fighting in eastern Ukraine, according to a statement by regional authorities. 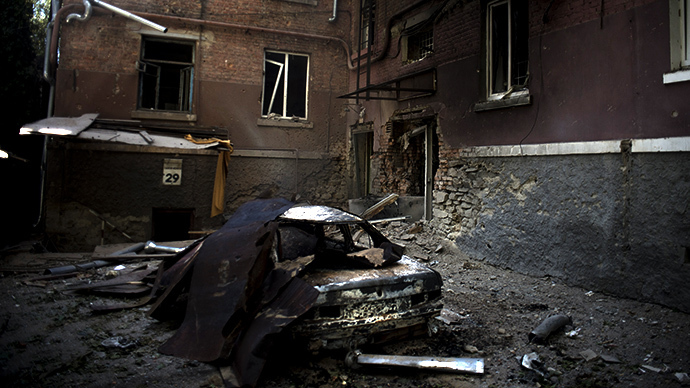 The Ukrainian army has been shelling Donetsk and its suburbs overnight as well. 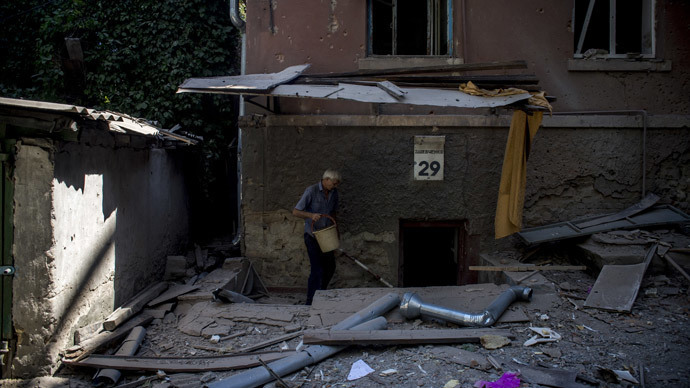 On Tuesday, the military seized a key train station near Donetsk. Many civilians are also feared dead after Kiev authorities resumed shelling of eastern districts in Lugansk, the city council reported. No figures for the number of casualties are known yet. The city has been without water, electricity and fuel for almost two weeks. 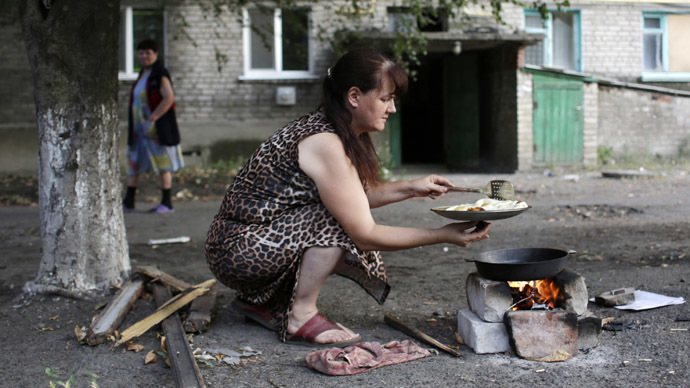 Fifteen people were killed and 19 injured in mortar fire in Donetsk region’s village of Zugres on Wednesday, local authorities said, citing health officials. Among those killed were three children. 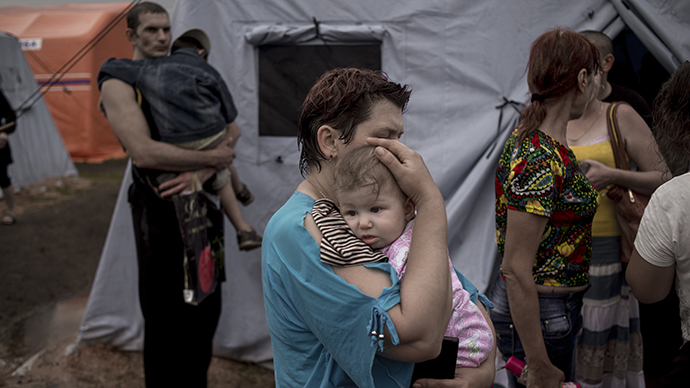 On Wednesday, the UN Human Rights office issued a statement saying that number of casualties in eastern Ukraine has doubled over the last two weeks, reaching over 2,000 people according to “conservative estimates.” Almost 5,000 have been wounded. Over 60 people have been killed or wounded every day, UN human rights spokeswoman Cecile Pouilly added. Dmitry Kazadaev, a Lugansk resident, told RT that the Ukrainian forces are targeting mostly civilian locations – not the one where the self-defense forces are stationed. One woman lost consciousness right before her turn in line came. So she was taken to hospital without getting her aid, one resident told RT.